Tove and I love to travel. We’ve been all over the world, visiting more than 20 different countries combined. Our experiences range from going on safari in Tanzania to surfing the waves of Costa Rica. With that said, there’s nowhere else on the planet we would rather be vacationing right now than Priest Lake, Idaho. In our minds — it’s heaven on Earth. Priest Lake, which is nestled at the foot of the Selkirk Mountains, is 19 miles long and goes as deep at 300 feet. The water is crystal clear thanks to the streams that flow down from the mountain peaks. That makes the lake ideal for fishing (bass and trout are common in the lake), but it’s also prime for water sports like wakeboarding, water skiing and tubing. The water temperature is typically perfect in the summer time: cold enough to cool you down, but warm enough that you’re not afraid to get in. It’s quiet on Priest Lake. There are resorts like Elkins and Hill’s, plenty of camping, and there are also cabins, but the cool part about Priest Lake is that it’s not overdeveloped. Most of the land around the lake is state-owned, so you’re surrounded by trees — not houses and buildings. That also means boat traffic — for a lake this size — is pretty minimal. The weather is usually perfect at Priest Lake in the summer months. There are average temperatures of 74 degrees in June, 82 degrees in July and August, and 71 degrees in September. The lake can be prone to wind at times, especially early in the day. My friend Eric, who I’ve gone to the lake with for the last four or five years, says Priest Lake isn’t always the best for boating (because the wind makes the water choppy). From our experience though, the breeze usually calms by the late afternoon (right around dinner time) — if it gets windy at all. Just when you thought this place couldn’t get any better, nights are amazing on Priest Lake as well. You can see a million stars (or at least that’s what it feels like) when it’s clear. It really is something you have to see to believe. Shooting stars sling across the sky like you can’t find anywhere else. I’ve even seen the Northern Lights at Priest Lake, which was easily one of the most incredible moments of my life. 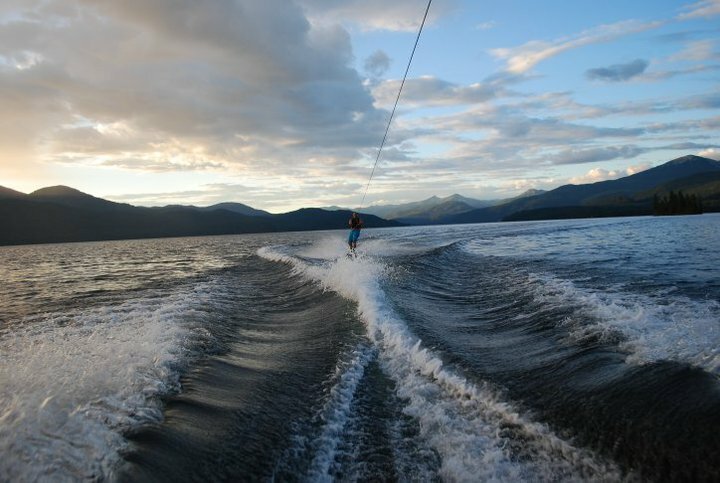 You can choose what type of experience you have at Priest Lake. You can get in the mix at the resort bars (there’s usually live music in the summer), chill out with your family and/or friends at a cabin or campground, or make it an outdoor adventure full of hiking and fishing. We personally like nothing more than sitting on a boat, listening to country music (not typical for us — it’s just a product of the environment), drinking Coors Light and diving into the water. It’s the perfect way to spend a summer day. 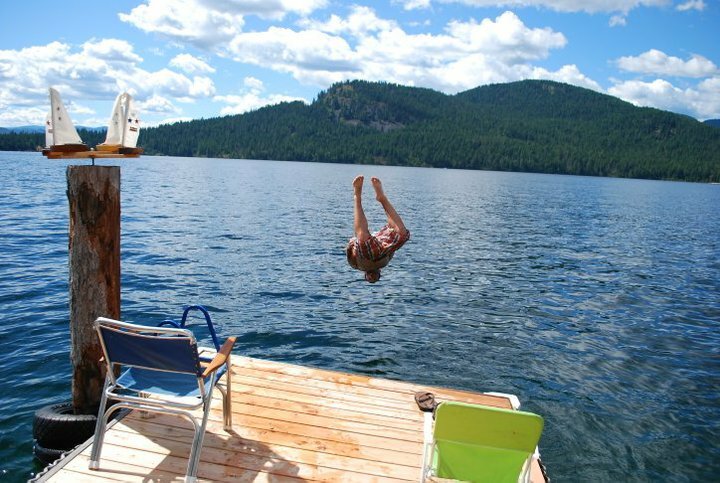 Just fair warning — it only takes one trip to become addicted to Priest Lake. Trust us…we know from experience. Our summer isn’t complete without a visit to the lake now. Have you ever been to Priest Lake? What do you think of it? We would love to connect with you. Leave a message right here or find us on Twitter, Facebook and/or Google+. We’re always down to hear a good story or two from Priest Lake. 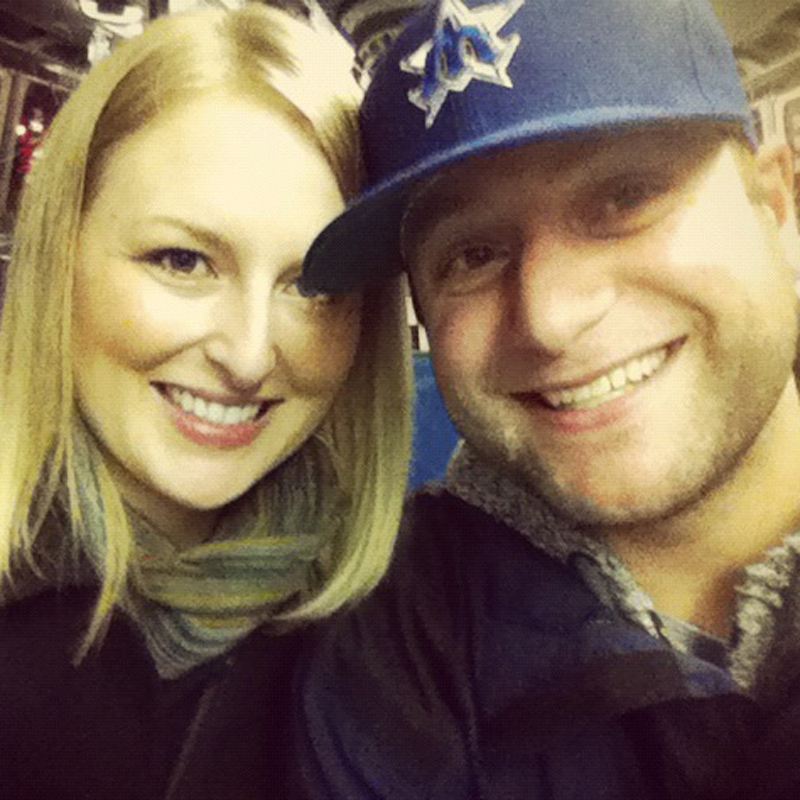 Don’t forget to also check out Seattle Bloggers for more great Seattle getaways. I have lived in Spokane, all my life. My Sister, Brother and I, grew up, going to Priest Lake, with our Parents, sometimes, Lake Coeur d Alene, as well. While CDA is a beautiful small city and the lake is wonderful, it’s a totally different experience than beautiful Priest, which, I agree, is a piece of heaven. As an adult, my Brother lived there for many years and raised his kids there. I’ve been there in all season’s and it’s impossible not to fall in love with it! My Brother died several years ago, far too young. His memorial was at Nordman, on the West side of the Lake. It was packed to the rafters and I know he was smiling down, at the family, friends, and place that he loved! Thank you for leaving a comment, Pat. We’re really sorry to hear about your brother, but it sounds like you threw him a great celebration in Nordman. There’s no doubt he was looking down and smiling. Lake Coeur d’Alene is spectacular (we spent plenty of time there when we were living in Spokane), but Priest Lake holds a very special place in our hearts. It’s easily one the greatest places we’ve ever visited (and we’ve traveled all over the world). 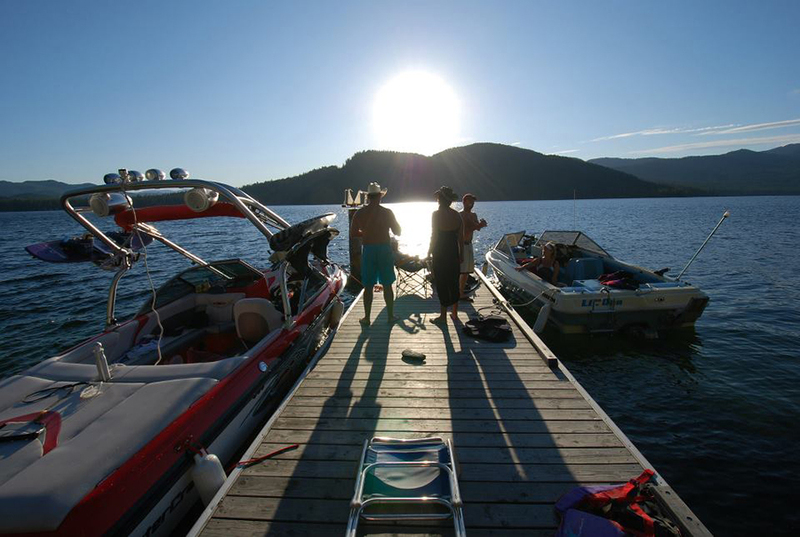 The summer is still months and months away, but we’re already itching to get back to Priest Lake. Maybe we need to make a trek there in the winter to get a different lake experience. It’s probably beautiful with snow on the ground. What about Pend Oreille? Thoughts? I used to go camping at Farragut State Park on Lake Pend Oreille when I was a kid. It’s a BEAUTIFUL lake, but I also remember it being very cold (because it is so deep — 1,150 max depth). While Pend Oreille wasn’t great for swimming (in my opinion), we used to reel plenty of fish out of the lake. The area was also great for kayaking, hiking, and other outdoor activities. So…in summary…it depends on what kind of experience you’re looking for. I would never hesitate to visit Lake Pend Oreille again. 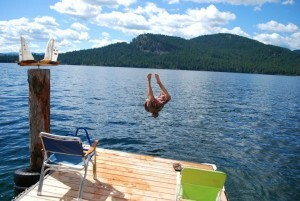 Is the end of June too early to go to priest lake? A friend told me it would be too cold but I’ve never been there so what are your thoughts? 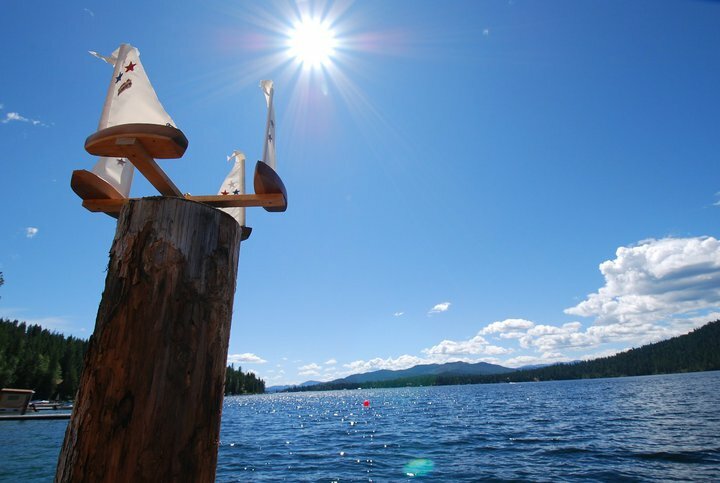 The average high temperature at Priest Lake in June is 74 degrees. As you would expect, average high temperatures get warmer later in the month. July (81 degrees) and August (82 degrees) offer the best weather. As for water temperature, we’ve only visited in July and August. At that point, the water temperature is usually perfect! Hi, thanks for all the wonderful info! What is the usual water temperature for late Aug? I’m surprised there is an actual article on Priest Lake. But it is probably my favorite place to go. It’s been a family tradition to go every year and I’ve been going since I was very little. 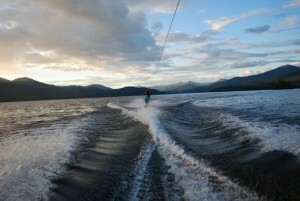 The atmosphere up there is wonderful, being able to relax all day and shred up some wake when in the mood. We have always camped on Kalispell island too, which is amazing. It really gives you a vibe no other lake/place does. Also, what month did you go to priest lake? In my experience It was pretty windy, but I normally get there late July.